If you grew up in the 1970s or 1980s in South East England, you’ll almost certainly have a fond memory of Margate. It probably involves a day trip to the beach, a bag of chips and a visit to the Dreamland Amusement Park. The town fell on hard times in the 90s, but with the opening of the Turner Contemporary art gallery and the arrival of small cafe’s and boutiques in the Old Town, things began to improve. The grand re-opening of Dreamland as a retro theme park was an essential part of the regeneration and has been great for the town. Its recently renovated facade in blue and yellow neon shines out over the sea and the seafront, once again, looks proud of itself. In addition to the theme park, the Dreamland complex includes a retro roller rink, a period restored ballroom and an upstairs area dubbed The Hall By The Sea for hosting live music. It’s almost certainly better than it ever was. Dreamland is brilliant and you shouldn’t let people try and convince you otherwise, especially those who haven’t actually been to Margate since 1996. The Hall By The Sea is a great space: it’s part retro and part industrial, and in some ways feels like London’s Roundhouse. It’s as cold as the Roundhouse on this occasion but it’s better as it’s much more intimate and also has local real ale Gadds No. 5 available at a less extortionate price. It’s a perfect fit for the rousing style of tonight’s artists, second wave ska legends The Beat and The Selecter, finishing off a lengthy double headline tour. 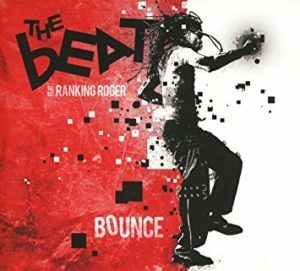 At 8.30 The Beat, featuring Ranking Roger and his son Ranking Jnr., make an appearance about an hour after we’ve been let into the building, but they waste no time in filling the next hour with classic after classic. Their set starts and ends at full throttle with no filler or flabbiness between. It’s also a set that very much appeals to old fans, despite being a newer incarnation of The Beat, starting with furious takes on ‘Whine & Grine/Stand Down Margaret’ and ‘Hands Off…She’s Mine’. Digging deeper into the back catalogue, ‘Monkey Murders’ is much darker, but still well received and a lightning speed ‘Click Click’ tears past in under two minutes with both frontmen working hard towards a superb performance and also geeing up the audience, who by now are loving every minute. The more recent ‘Bounce’ is represented with a few songs that are impeccably played, but not only that…they’re a great addition to the band’s canon and fit seamlessly next to the old songs. ‘Side To Side’ mixes ska with an almost ragga edge, allowing Jnr. more of an opportunity to take the lead, whilst ‘Fire Burn’ delves into deeper reggae and ‘Avoid The Obvious’ instantly sounds like an old Beat classic. If you’ve not yet heard ‘Bounce’, it’s a terrific record…and interestingly its two best songs – ‘Busy Busy Doing Nothing’ (a great homage to the poppier style of the ‘Special Beat Service’ LP) and classic reggae-pop of ‘Walk Through To This Side’ (which would compliment ‘Wha’appen?’ very well) are left on the shelf for another venue at another time. Their cover of ‘Tears of a Clown’ loses none of its magic on this occasion and even when immersed in slower numbers ‘Can’t Get Used To Losing You’ and the lovely ‘Doors of Your Heart’, there’s an energy and sheer professionalism emitting from the band. Perhaps with some predictability, it’s when launching into the night’s closing pairing of ‘Ranking Full Stop’ and ‘Mirror In The Bathroom’ the venue predictably explodes into life with them. ‘Mirror’ teases with extended dubby elements and ‘Ranking Full Stop’ is suitably exciting with Jnr. running back and forth as if his life depends upon it. Both performances are absolutely captivating. For older fans, it’s interesting to hear Roger tackling some of Dave Wakeling’s old vocal parts whilst his son steps into the role of old Roger, but it still works. What’s more, it works very naturally and Roger and his son really know how to work a crowd. While The Beat’s current set is reliant on an audience loving the old material, it’s been brilliant to hear it played in slightly re-worked ways and with such tireless energy. At about 9:45, The Selecter slowly take the stage, accompanied with a recording of their eponymous instrumental track. Appearing last, Pauline Black makes a less than showy entrance, but donned in her trademark trilby and rude girl outfit the queen of second wave ska still makes an impression. Pauline, now sixty four, is effortlessly cool. Alongside The Selecter’s other original vocalist Arthur ‘Gaps’ Hendrickson and established rhythm section Winston Marche (drums) and Luke Palmer (bass), the core of the current band are tight and having released four studio albums in the last seven years, they’re certainly not rested on their laurels. 2015’s ‘Subculture’ and 2017’s ‘Daylight’ are completely committed musical statements that are relevant to the here and now of the ska and reggae scenes of 2018. Opening with their take on The Avengers theme (as featured on 2013’s ‘String Theory’), the band quickly warms up with a fun vibe and – still on the buzz left by Rankings Sr. and Jr. – the audience don’t take long to react accordingly. Sliding into the classic ‘Three Minute Hero’, the band are extremely punchy on this occasion and sharing lyrical duties, Pauline and Gaps exude energy and professionalism. They’ve played this song a thousand times over the decades, but there’s no hint of the band going through the motions. A small amount of sassy banter with a figure in the front row looking through their phone kicks off a trilogy of more recent numbers. The current album opener ‘Frontline’ sounds better in the live set than on record with a barrage of harmonies and horns set against a classic rocksteady pace, while the bouncy ‘Daylight’ (the new album’s title cut) seamlessly fuses ska and pop elements with a very retro sound. For a song that’s still fresh off the branch, it’s well received by a good chunk of the audience, especially those nearer the front (whether looking through their phones or not). This early part of the set also features a very heavy and intense take on ‘Breakdown’ (the current set’s only nod to 2015’s brilliant ‘Subculture’ album). Bassist Palmer gets a hefty workout here and despite the semi cavernous venue and metallic ceiling, the sound quality remains amazing. Dropping in a heavy political number featuring a role call of the deceased so early on could be a mistake in the hands of other bands, but here it changes the mood only briefly and it’s good to challenge an audience. In keeping with other recent Selecter works, this isn’t tonight’s only foray into important politics. A couple of throwbacks to the classic debut ‘Too Much Pressure’ – including the often overlooked single ‘Missing Words’ – help parts of the crowd get bouncing again and also show that the band have really thought about the way this set has been structured. A few old favourites punctuate the first half of the set, but it’s more weighted to newer material, though without any sense of “getting those out of the way”. 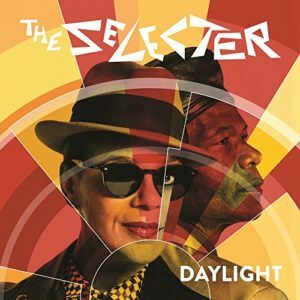 The Selecter are very proud of their new ‘Daylight’ and offer two more numbers, ‘Taking Back Control’ and ‘The Big Badoof’. In the case of the former, Pauline explains that the new song is an attack on Brexit, something set to drag Britain backwards. The lyrics are plain-speaking, but on this occasion, it’s more about the music. The performances of this and the following ‘Badoof’ (a chance for Gaps to have more time in the spotlight) have no air of wobbliness and sound as if they’ve been a natural part of the Selecter setlist for a long while. Launching into The Ethiopians’ ‘Train To Skaville’, its time for this old ska classic to gee up the crowd again – and the performance is absolutely fantastic. It’s not enough for the man next to us, though, who mutters something about “not recognising anything this evening” and promptly leaves the venue. Mr. “Play The Hits” obviously has no interest in either the history of 60s ska or The Selecter’s current output and seemingly hasn’t heard either ‘Daylight’ or ‘Subculture’, but that’s very much his loss! Next up and giving Pauline a well deserved break, Gaps takes the reins for an extended workout on ‘James Bond’, a jam based around Monty Norman’s familiar guitar riff. As closing number from ‘Pressure’, it always felt a bit like filler material, and in the live set it never feels essential, but to watch the way the band interacts with each other is enjoyable and all part of this live experience. The man who left early was wrong to do so in many ways. As the set reaches its climax with storming renditions of the classics ‘On My Radio’ and ‘Too Much Pressure’ played in medley with The Maytals’ ‘Pressure Drop’, everything reaches a very natural peak with an almost party atmosphere. There’s a reasonable amount of nostalgia filling the air and audience, but as shown up to this point, The Selecter are not merely a nostalgia act. Bringing Ranking Roger and Ranking Jnr. back to the stage, the extended group of friends lead the audience into a short encore featuring a rousing rendition of Prince Buster’s ‘Madness’, which is a perfectly fitting end to a great night. There’s a feeling this mightn’t be the last time we see either band at Dreamland or somewhere similar, though perhaps not necessarily together. If you’ve somehow never seen The Selecter, their next round of live dates would be an excellent time to do so, especially with the veteran band promoting some great new material. Ranking Roger’s Beat are even better… If you don’t have fun under their guidance, you’re almost certainly clinically dead. Going back out into the cold, we reflect on what a great night this has been and in a great venue too. The Hall By The Sea is a fantastic space for live music, helping to transform Margate further into its own version of a mini Brighton. Margate is very much back on the map as an essential destination for seaside fun and great music…and tonight, the 2-Tone legends should be very proud that they could be an important part of that. Read a review of The Selecter’s ‘Subculture’ here. This entry was posted in Gig Reviews and tagged 2 tone, gaps hendrickson, margate, margate dreamland, pauline black, ranking jnr, ranking roger, ska, the beat, the selecter by Real Gone. Bookmark the permalink.